Advocate and BJP leader Ashwini Upadhyay has moved the Supreme Court by way of an appeal against an order dated May 2 of the National Green Tribunal (NGT) on a review petition, whereby the tribunal has withdrawn its previous direction to publish caveat/warning on polyvinyl chloride (PVC) pipes, the inner walls of which are laced with lead, disclosing to the public at large the dangers of water contamination due to such leaching of lead. 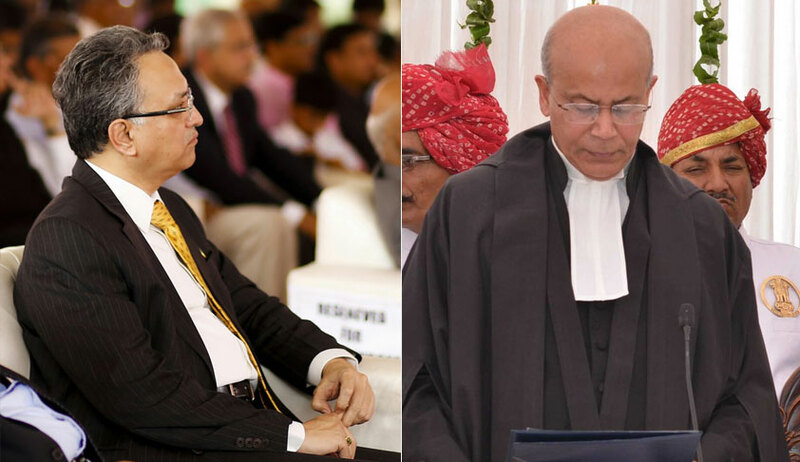 A Supreme Court bench of Justice AM Khanwilkar and Justice Navin Sinha on Tuesday directed the petitioner to procure the certified copy of the May 2 order, listing the matter for hearing on Friday. “Why should we not simply adjourn it today? You get the certified copy and we will hear...there is no urgency...we will hear after the vacation,” remarked the bench. “The original judgment (of the Principal Bench of the NGT, dated May 25, 2017, on the OA filed by Jan Sahyog Manch) is not even in challenge or review...there is an admission that there is leaching of lead resulting in contamination of water,” urged senior counsel Vikas Singh, appearing on behalf of the appellant. “But surely the May 2 order is also reasoned...we would like to have the benefit of it...,” observed the bench. The tribunal in its May, 2017 judgment had come to a categorical finding that PCV products containing lead are harmful to health and the environment at large and ought to be phased out completely from being used. The tribunal, considering the unequivocal acceptance by the Respondent 3, All India Plastics Manufacturers Association (AIPMA), and also upon the apprehension raised by Respondent 1, Ministry of Environment, Forest & Climate Change, had held that it was necessary to take concrete actions based on precautionary principles. The tribunal therefore, directed Respondent No.1 to prepare a roadmap for phasing out the usage of PVC pipes containing lead as the same has already been done in most developed countries (including inter alia the US Code, Title 42, Public Health and Welfare, Chapter 6A, Sub Chapter XII, Part B; and National Standards of 2006 of China). The said finding of the tribunal has attained finality as no appeal has been filed. However, for more than six months of passing the judgment, no concrete action was taken by the respondents. Hence, the Tribunal vide its order dated January 24, had directed a caveat/warning to be published, the same being the only concrete action taken by any authority to curb the menace caused by such pipes. (d) Diminished learning abilities in children. The appellant has relied on the Supreme Court judgment in Vincent Panikurlangara v. Union of India (1987), wherein it has been held that attending to public health is the top priority as per Article 37. Further, it has been averred that the apex court in Reliance Petrochemicals Ltd. v. Proprietors of Indian Express Newspapers Bombay (P) Ltd., (1988) has held that ‘Right to Know’ is a basic right which the citizens of a free country aspire in the broader horizon of the right to live under Article 21. It has been claimed that in the present case, AIPMA has unequivocally accepted the leaching of lead from the inner walls of PVC pipes, which in effect contaminates the water. However, the tribunal, while passing the impugned order, has failed to appreciate that it is the duty of all manufacturers of goods to duly inform their consumers about the exact contents of the goods and its potential adverse effect on health of the public. Thereafter, on January 24, the tribunal passed its order granting six months to respondent 1 to comply with the directions issued under the judgment. Further, the tribunal, being cautious and aware of the fact that public health is being adversely affected due to water contamination on account lead in the water flowing through PVC pipes, directed respondent 1 to issue general directions to the industries to publish a caveat/ warning on PVC products. On April 12, a stakeholders’ consultation for preparing the base documents including draft notification was held by respondent 1. During the said consultation, the participants discussed at length about various BIS standards to be covered in the notification, feasibility of phasing out and time schedule required for phasing out lead stabilizers. AIPMA and respondent 2, Chemical & Petrochemical Manufacturers Association (CPMA), also participated in the said consultation and highlighted the challenges for phasing out lead stabilizers. AIPMA, on behalf of the PVC industry, also submitted a feasible programme of 15 years for manufacturing lead-free PVC piping systems. Thereafter, respondent 2 filed an OA before the tribunal seeking stay of the direction issued on January 24 qua publishing caveat on PVC pipes containing lead. It was the case of CPMA that the same will result in financial losses and heavy penalty to itself and related industries as most of its customers are government instrumentalities. It has been contended that the tribunal vide the impugned order dated May 2 arbitrarily accepted the aforementioned contentions of the CPMA and took a volte-face to withdraw its directions qua publishing caveat/warning on PVC pipes until respondent 1 submits its report. (i) Whether the arbitrary and surprising action of the Tribunal to withdraw the direction qua publishing of caveat/warning has diminished and whittled down the effect of the judgment dated 25.05.2017, which has otherwise attained finality and especially since it has already been decided to phase out PVC pipes containing lead? (ii) Whether the impugned order is in violation of Article 19 read with Article 21 of the Constitution of India as it deprives the public of their Right to Know on aspects concerning health safety?